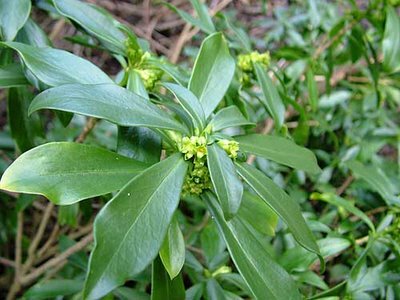 Daphne laureola is an evergreen shrub that has been slowly increasing under the shady canopy. There are several well established plants to be found mostly beneath the Ash trees. 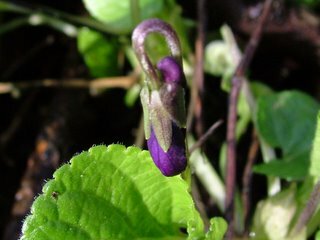 Seen here it flowers in February and has a honey scent. The whole plant is poisonous. This notice was attached to the fence around the dewpond before Christmas when the fence was repaired. Predictably it has now been torn off. Surface of cut Ash Tree at showing the rings, note the growth is greater on the side facing south. 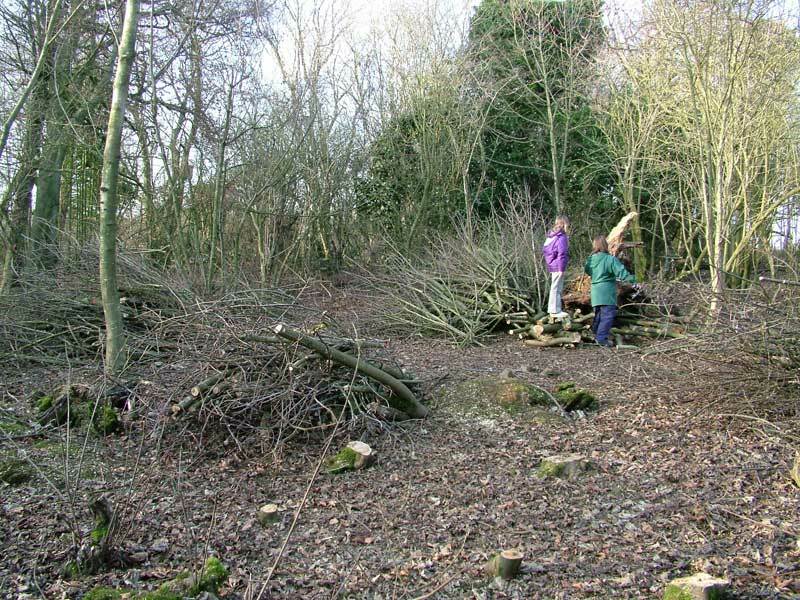 A small area of Sycamore has been cleared in the wood behind the Dewpond. This has hte effect of opening up the space and allowing light to reach the floor. 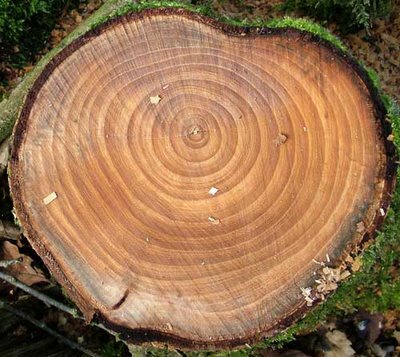 It will be interesting to observe the effect on growth of plants and fungi among the leaf litter. 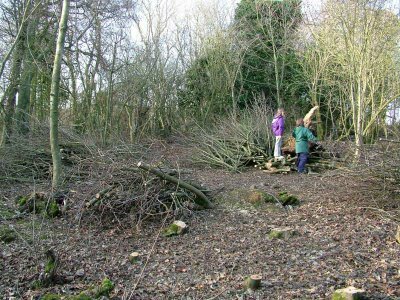 The cutting have been left in heaps where they will decompose. 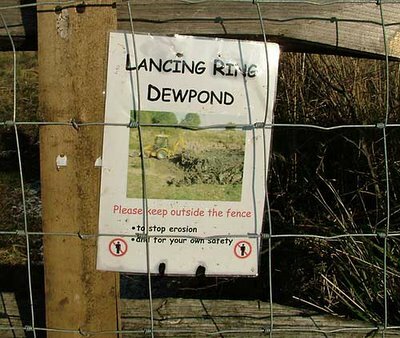 In the afternoon a chance to walk on Lancing Ring with the sun shining and feeling warm when sheltered from a cool northern wind. 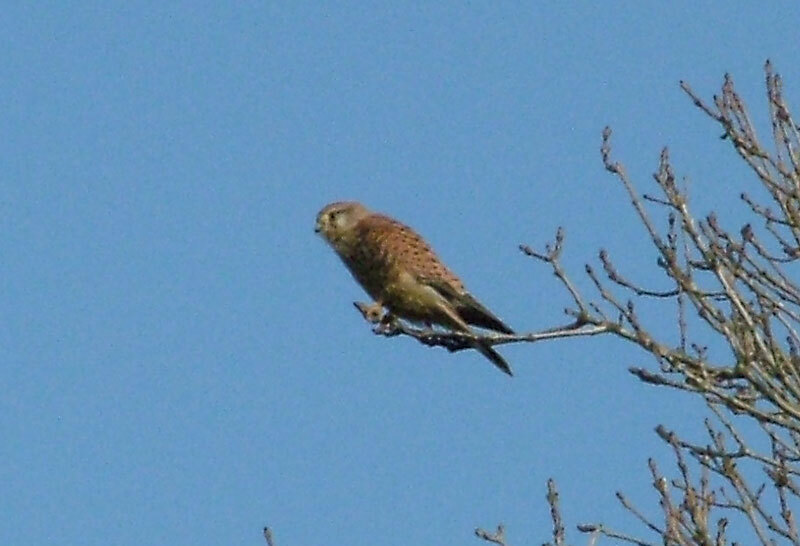 Good views were had of a Kestrel perching on Hawthorn overlooking the Vale of Halewick Lane. A fellow walker reported that they had heard on good authority that Red Kite were breeding nearby to the Sompting Down area. 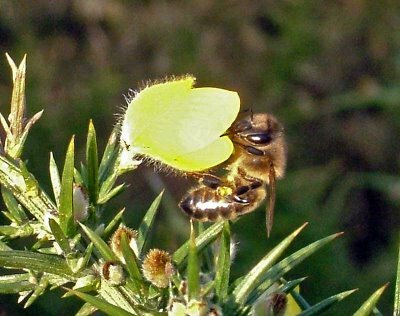 An exersize to reveal the inhabitants of Gorse bushes was carried out with a white cloth held under a bush while it was tapped with a stick. (Considerable care is needed to avoid the needle sharp leaves of the Gorse). 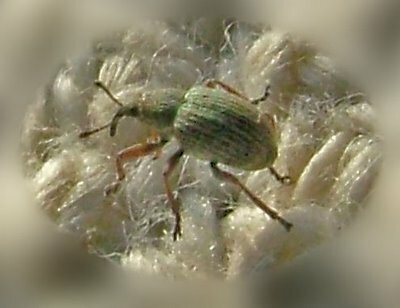 The insects that were collected were nearly all small and hard to identify but some were possibly some kind of Seed Weevil, having as they did, a small snout. Among them a 7-Spot ladybird made it the second of the day. A Honeybee was active on the same bush, another one was spotted nearby.